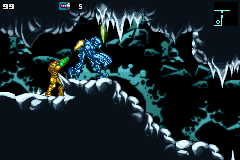 Deep Freeze is a small Zero Mission hack with new environments, item progression, layout and more. Some small ASM and hex tweaks were added as well as some rad palettes. The hack should take a bit less than an hour on your first playthrough so give it a try! Try to earn all of the ending images! For a contest hack, and probably the first real ZM hack, I'm fond of it. A little bit of backtracking and difficulty stopped it from being better, but I like it. 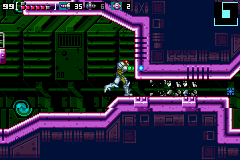 Also, like dopefish, I loved the lore explaination of the gravity suit not affecting the frigid water, which allowed for having gravity be a recolor of varia, and the final suit being able to go over actual gravity. 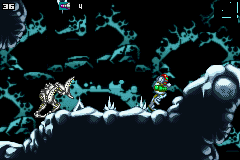 Something that I was disappointed by, was the lack of the space jump, after getting all the other upgrades available. Maybe there could have been some secret area accessible after getting Screw Attack, but I suppose it wasn't truly necessary. In short, this was a wonderful Zero Mission hack, and I hope to see more like it in the future. I really enjoyed this hack. The difficulty curve was not to steep in comparison to ZM. I got all the upgrades but one expansion (grrrrr...). 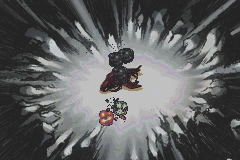 Kraid was as difficult as in ZM, same with Ridley. Also, I really liked the recolor of the suits and the cheeky explanations of the items were funny. 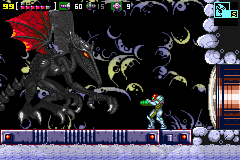 The enemies were recolored spectacularly and Meca Ridley and the Motherships rainbow flashing reminded me of super Metroid, which was awesome. And the tile choice DEEPLY moved me. Overall a very well made hack, it's not too hard and it has its amounts of exploring in it. I would recommend this to practically anyone interested in ZM hacking. I enjoyed this hack. I haven't been able to come across very many ZM hacks, but the feel of this hack came together well. the theme, color motifs, and gameplay all work together well. It felt like a fluid experience. I enjoyed the feel of being plopped down in a world, a frozen world, and I was thrust into a situation where I thought, "well gee where do I start looking?" I didn't find it too difficult to find most the items. like any good exploring game, I think its the mark of a good exploration game if you have to scratch your head and wish you had a map at least once. I thought the secrets were well hidden but not too difficult to find. This was a very well made hack based on the tools that were available at the time. With the perfect mixture of meme and seriousness to make me fall in love with this and attempt 100% on both normal and hard. Only thing that annoyed me in this hack was the Shinespark Puzzle to get a Power Bomb expansion and most of hard mode (Which is to be expected). 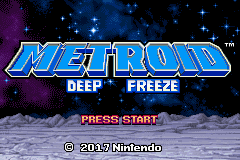 I highly recommend this to anyone who loves Metroid Zero Mission and is looking for a cool spin on this already amazing game. Short, but super fun hack beat this today. Mecha was a little bit difficult. Another difficult part was the escape it was cool, but the bomb paths were not always obvious.